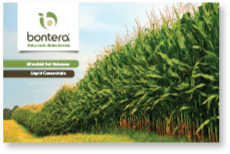 The Bontera brochure offers more in-depth information on the benefits of soil microbes. You’ll also see the difference Bontera makes in photos of control crops and Bontera-treated crops. We hope you’ll save a copy for yourself and even share it with growers you know.